A luxury five-star hotel in the heart of Reading, The Roseate has 55 beautifully styled bedrooms. 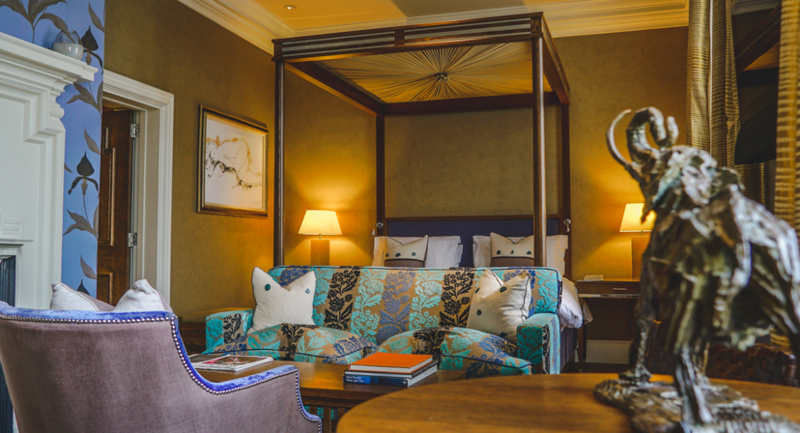 The décor is unique to each room and won’t fail to leave you feeling entirely relaxed, with voluptuous soft furnishings, a high tech audio-visual system, luxury toiletries and high-quality coffee machines. 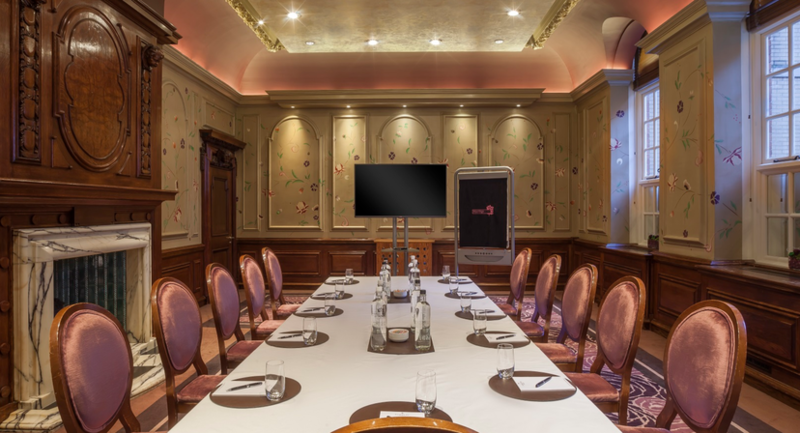 The Roseate is designed for both business and pleasure, boasting the latest technology, stylish yet functional surroundings and dedicated conference rooms providing the ideal location for meetings and events. All our meeting rooms are fully air conditioned with natural daylight and include complimentary Wi-Fi. There is even a 30-seat private cinema, ideal as a quirky corporate presentation style or to be used for a VIP social event where colleagues can view the latest movie including dinner and cocktails! 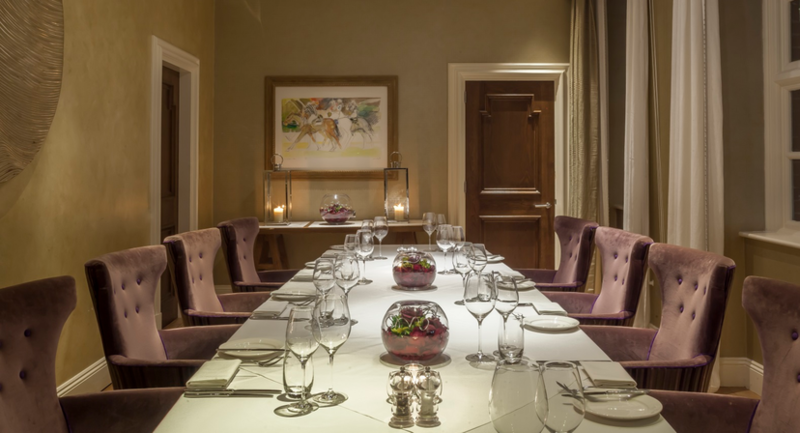 The opulence isn’t just limited to the bedrooms and bathrooms – our three private dining rooms can cater from four to fifty guests. From the intimacy of The Cellar dining room or The Library, to the beautiful environment of Eden, the Roseate Reading and our attentive staff know how to make your celebrations special in every way, and our events team will work with you to design a menu tailored to your tastes, with all dietary requirements catered for, to ensure an unforgettable dining experience, whatever the occasion. From banquets to meetings, we can offer day delegate rates which include refreshments throughout the day for your conference to 24-Hour packages including dinner and accommodation. 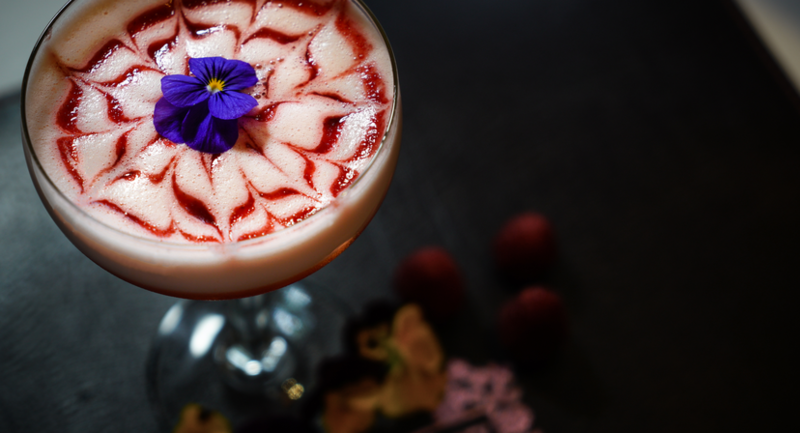 We welcome you to the Roseate Reading: the stylish 19th century townhouse hotel offering contemporary and modern spaces in a prime location, and one of the best luxury hotels outside of the hustle and bustle of London. The Eden is our largest event space and was the original council chamber. 200 hand painted flowers cover the walls, surrounding the original fire place. The décor is vibrant and charming, and is illuminated by plenty of daylight. Both stylish and functional, the Cellar has a fantastic contemporary and modern feel with wooden flooring and luxury chairs to present you in the perfect position. The Cellar is located on the Ground Floor. 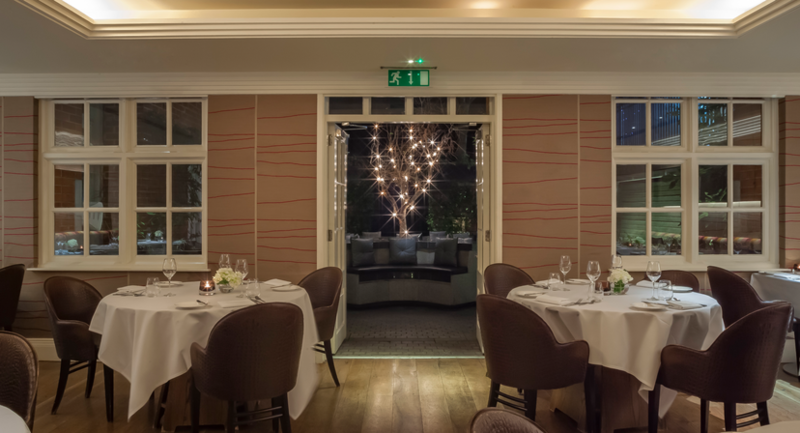 The Library Room is the perfect setting for a private dinner, celebration or any corporate occasion. The large Georgian windows provide a light and sunny atmosphere, and during the winter months, the fire glows in the fireplace. 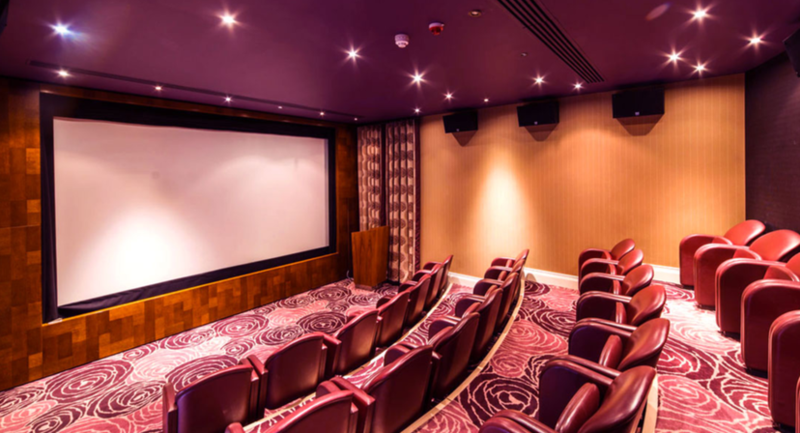 The multi-functional Cinema can seat 30 guests and can be hired to host private screenings and a wide range of other events including product launches, corporate presentations and even weddings. 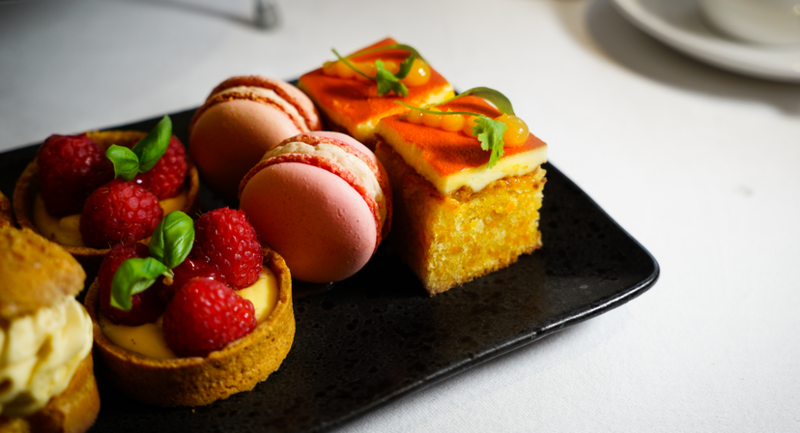 The Cerise Bar & Restaurant at the Roseate Reading, offers a relaxed and modern ambience to savour traditional English food from our award winning kitchen team. 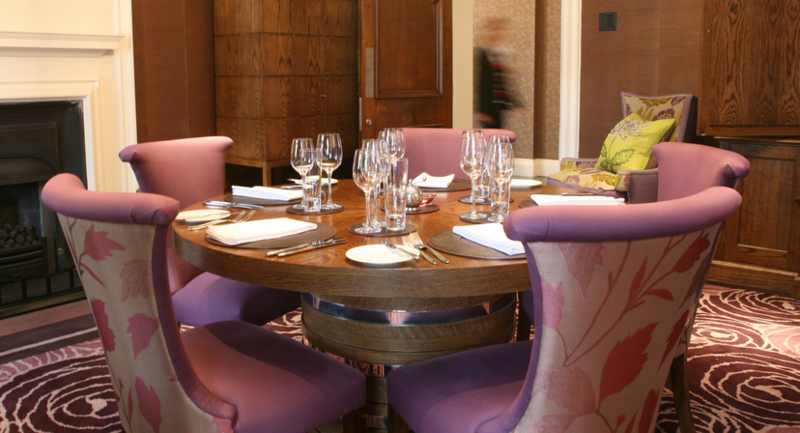 The Restaurant and Bar can be booked exclusively for drinks, banquets and receptions.